We hope that this guide will help vegetarian travelers find delicious meat-free dining in Chugoku Region(Hiroshima, Okayama, Tottori, Shimane and Yamaguchi) and help make their stay a memorable one. 28 sightseeing facilities in Shimane, including Adachi Museum of Art (#1 Japanese garden for the last 14 years), Matsue Castle (National Treasure) and more, offer discounts for international visitors! 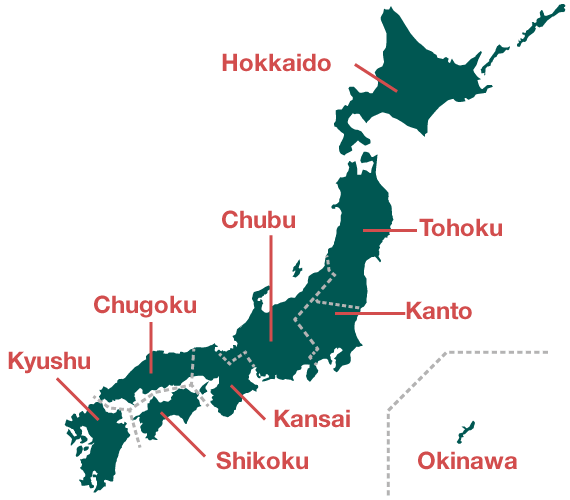 We hope that this guide will be useful to Muslim travelers kind enough to visit Chugoku Region (Hiroshima, Okayama, Tottori, Shimane and Yamaguchi) and help make their stay a pleasant one. Mountainous islands, mild climate, and beautiful seas make Hiroshima the Mediterranean of Japan. Tour around Kibiji, a region perpetually alive with history and romance. Take the unbeaten path to an adventure in the unfamiliar Japan. Located to the north of Hiroshima, Shimane Pref. is an area shrouded in mystery and mythology with deep roots in history and tradition.